The Rav was appointed to the Yugoslavian Senate by King Alexander of Yugoslavia. 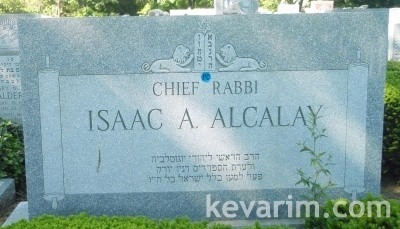 I think that Rabbi Alcalay belong to my family. He came to meet my grandfather and my grandmother, Joseph and Sultana ALCALAY who lived in Istambul before 1925.